A Free Social Media Wall For Your BarCamp! Since most BarCamps are still organised by volunteers and free to attend, money is often tight and goes towards venues and feeding attendees. 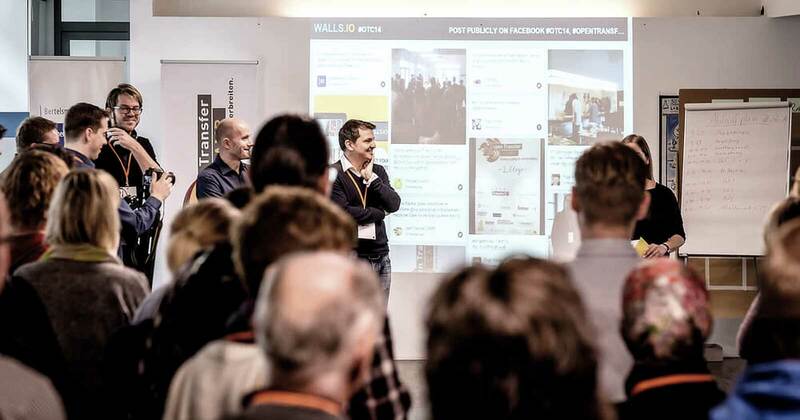 We believe that a social wall can make a BarCamp even more interactive and colourful. So we’re happy to say, that we are giving away our Walls.io Pro to all BarCamps for FREE! To get started just click on the yellow button below and sign up for a free trial wall, then reply to the confirmation e-mail and we will activate your “Pro” Wall for free! We appreciate the open source philosophy of the BarCamp world, where everyone gets to contribute to a great event. So, we see it as fitting with our own mission to support them in their endeavour as much as possible. You can use Walls.io to set up a social feed that pulls posts by hashtag from a variety of social media channels (we support multiple platforms) and displays them in an appealing way. With just a few tweaks you can change the behaviour of your wall and specify what kind of posts it will display. Of course, you can also adapt the layout and background to your liking. Embedding your wall on your BarCamp’s website is also easy as pie with our iframe widget. Our latest theme, Billboard, is especially well-suited for events because it lets you display your wall’s content as a beautiful slideshow of posts. This is a good choice if you want to display your wall live at the event on a big LCD screen or via a beamer, instead of only letting your attendees look at the wall on their mobile screens or computers. While most BarCamps are focused regionally, you still might be surprised by your events global reach when trying out our map visualisation! To claim your free social wall, click the button below or head to Walls.io. Set up a free trial wall and shoot us an email at support@walls.io — we’ll unlock Walls.io Pro for you! If you’d like to mention us as a tech partner or sponsor on your website, that will make us super happy. Furthermore, we really love seeing photos that show our product in action at your BarCamp. Maybe we’ll even feature your event in one of our showcase interviews here on the blog. Let us know if you’re doing something special that you consider worth writing about! Good luck, and enjoy your BarCamp!